There’s literally nothing worse than being an injured runner. I’ve been there, many times in fact, so I know this to be true. But what constitutes a true injury and how do they come about in the first place? Let’s discuss. Though I’m a running coach and I’ve been through my fair share of running-related injuries, I am not a medical professional. Please seek medical care if you are questioning a potential injury. First we must answer the question “am I injured?” Here are a few scenarios to consider: if an ache or a niggle doesn’t dissipate through the duration or a run, changes to a painful sensation instead of just a niggle, or if the ache/niggle alters your gait, you’ve likely entered the injury-zone. Even if you feel you can run through said sensation, it’s best to stop your run if it’s changing the way you run at all. I can say this with confidence as I foolishly ran a marathon moderately injured which ended up turning into a severe injury of my IT band. I was down and out for three weeks following the marathon. Not awesome. If you’ve determined you’re injured, there are three main causes of running-related injuries. Biomechanical abnormalities such as arm swing, inappropriate footstrike, low cadence, overpronation, and oversupination (to name a few) can all contribute to a higher risk of running-related injury. If something doesn’t feel right, a couple of things can be done if a biomechanical issue may be present. First, you can have your gait analyzed. Running coaches are capable of making this analysis, as are sports medicine facilities, and even some running stores. Having a gait analysis performed will help nail down any issues that may be causing your aches or pains. Secondly, you can go to your local running shop to get fitted for appropriate footwear. Say you just started running and your shoes are a pair you snagged at the sporting goods store. They might actually be really nice shoes, but they might not be a great fit for your feet and your gait. It’s best to get fitted by the pros. Third, seeking medical advice or adjustment from a sports-focused chiropractor can help immensely with any potential injuries. If you don’t have access to a sports chiropractor or you have a more severe injury, seek medical attention from a sports medicine physician. Injuries that stem from biomechanical issues can include: stress reactions and fractures, ITBS, plantar fasciitis. 2. Too much, too soon (aka not following your training plan). Another cause of running-related injuries is doing too much, too soon. I’ve had runners do this in the past and it almost always ends up badly. It is one of my biggest pet peeves not only as a coach but also as a friend. Take this example: a former runner, after taking off a couple months of running, thinks he/she is ready to run 5 miles out of the gate. I’ve got news for you — if you haven’t run one single mile in several weeks and decide running 5 miles is a great idea, it’s going to wreak havoc on your body. Not only will you be incredibly sore the following day, but you’ll likely sustain an injury or two. Taking one or two, even three, weeks off is one thing. Taking off months is another. 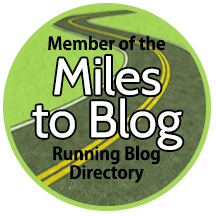 This can be even worse for newer runners: those that are just learning to run and those that have only been running a year or two. Running is a lifelong sport if we let it be but we must respect the process and we must respect the distance. Doing too much, too soon is a recipe for disaster regardless of your running history. If you hired a coach, please follow their training plan they created for you. It was written as such for a reason. Don’t be an injured runner when it’s completely avoidable. Injuries that come to mind in this category are: ITBS, shin splints, plantar fasciitis, runner’s knee, tendinitis, and a slew of other aches and pains. 3. Stuff we’re born with. Other times, sometimes we’re just born with “stuff” — or things develop over time that are completely out of our control. I’m actually going through something rather nerve-racking right now — my chiropractor is almost certain I have something called FAI (femoroacetabular impingement). It’s not uncommon and both my coach and my chiropractor suffer from it as well. But just because it’s not uncommon doesn’t make it a fabulous affliction. I’ll be going in for X-rays to confirm diagnosis this week. But basically, FAI is something I could never control even if I wanted to. It would explain a lot of my injury issues and discomforts over the last 15 years — which is both fortunate and unfortunate. FAI is just one example of “stuff” that could affect running and injures. There are lots of other things that could impair your running or even present as a running-related injury. The thing to do in this situation? Accept the things you cannot change and have the courage to change the things you can. Work closely with caregivers and medical providers so that you can enjoy an active life while staying safe and healthy. You don’t have to be an injured runner for the rest of your life. You will find a way to make it through. Injuries in this category include things like FAI, arthritis, ITBS. How Can I Stay Injury-Free? There are lots of ways to stay as injury-free as possible. The two biggest things to focus on are cross-training and strength training. Cross-training is great to work similar muscles you use while running while reducing impact. Cycling, pool running, and the elliptical are all ideal options. If you choose to cross-train in lieu of a running day, be sure to keep the duration and intensity the same as you would if you were running. Additionally, strength training is key for runners. Focusing on hip mobility, strong abs, glute power, and hip stabilization will ensure your form is where it needs to be to keep your body safe. Things like lunges, squats, lateral leg lifts, and planks are great to work those running muscles. Make a conscious effort to doing these types of exercises and you should be in good shape. Sometimes we get injured regardless of what we do/don’t do. Things happen. Life happens. But the thing to do is to keep moving forward. Do what you can with what you have. For the things we can control, however, don’t do anything foolish. Keep up with your strength training and maintain a strong running form. If your coach wrote you a plan, follow it. Don’t get yourself into a precarious situation because you’re trying to make up for lost time or have something to prove. Trust me, it’s not worth it. What’s one thing or exercise regimen you do to stay injury-free? Have you caused yourself injury in the past? Linking up with Wild Workout Wednesday. I had FAI which contributed to my labral tear. I often wonder if my surgery has led to changes in my biomechanics that contrite to injuries. 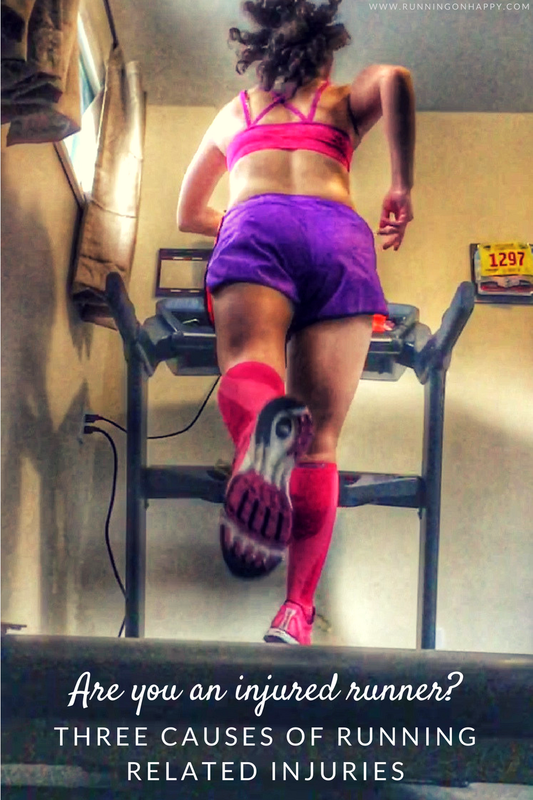 Ive had my gait looked at a bunch of times- it can use some improvement but is not awful. I think Im pretty good about following a plan and doing prevention work so I think its the other 2 areas that lead to my injuries. My coach and chiro both have tears. I’m really hoping I don’t have a tear. Do you think you run more poorly now that you had the surgery? You know, I have had some of my best years of running after the surgery. But I do think it likely led to imbalances that have caused me trouble since then. I sometimes wonder what would of happened if I didnt have the surgery, but I was in pain for months and not running, even with trying PT first. I’ve had my fair share of injuries. I’ve had numerous gait analysis. It’s kind of funny that I actually have been injured more since I’ve improved my gait and cadence. After seeing an ortho who made me feel like I was a washed up runner who had a wonky body, I asked my PT if he thought I was done running. He said absolutely not. I just need to put in more work than the average runner on strength training, form and recovery. It takes a team to make a dream work! I’ve actually done a lot of thinking about that. On almost every run, actually. I do feel like I’ve been injured more since I’ve actively worked on my form. But it could also be coincidental since my mileage is so much higher than it was when I first started running. It’s a crapshoot, right? And it does take a team! It so is! I’ve been super diligent this time around. I hope it works. I am super grateful I didn’t hurt myself during my marathon walk – – which was ia15 minute mile which kind of is running for some?? – – because I need to work on the booty. A lot lot. I need to strengthen my glutes so I don’t get hurt. We all need to strengthen our glutes! 🙂 You did great during your marathon!! I ramped up too fast after my first marathon and came away with ITBS. Live and learn. Many injuries can be avoided if we listen closely to our bodies and find the right training plan for us. Low mileage and lots of crosstraining is what works for me. Agreed. Listening to our bodies is key! I’m sure all of your cross training and strength training helps! I changed up surfaces and did too much in a new surface too soon and got injured. Also not adequate recovery from not just workouts, but also life. One thing I try to do to stay injury free is mobility drills and bodyweight work after each run. Oh injury woes! We live and learn! Wish I would have read this when I started running. 🙂 Thanks for hosting. I think that strength training helps me “try” to stay injury free. Lol! I love the “try” because same here, girl… the struggle is real! Yoga and strength training have been the keys to keeping me on the road. I think the one thing runners really should all do is hip and glute strengthening. It’s amazing how much that has helped. I totally agree. I’ve been actively working on hips and glutes and sometimes I’m paranoid I’m not doing enough. Time will tell. But this training cycle I have been super diligent so I hope it pays off. Oh yes, I had some IT issues during a taper for one of my races. Being somewhat new, I basically stopped running. Didn’t seek medical advice. And ended up with some pretty bad IT issues that led to my worst race ever and being in pain just walking the dogs. Since I don’t work, I’m pretty religious about getting in little bouts of strength training, yoga, or pilates most days. Ugh, no good! I’m glad you’re over that hump. I will say, you’re one of the best at keeping up with the cross training and strength training. Keep it up. It helps when you retire early. 🙂 That, and I’m a firm believer that dogs deserve to be walked. I ended up retiring (not planned) when we got our first dog. I don’t miss it. Thankfully my husband earns a good living. Seriously, though, most of it is just 10 or 15 minutes several times throughout the day and when I get really busy, it can be hard to keep up with it all, for sure. Like this next week. 10-15 minutes several times adds up! Great advice. I have been guilty of getting injured from doing too much too soon and since then, I’m extremely cautious and almost paranoid when it comes to injury prevention! I’m interested in learning more about your potential FAI diagnosis. Hope all is well! I think if my FAI diagnosis is confirmed it will explain a lot of what’s been going on with me. And hopefully I’ll know how to move forward! Currently, my right leg is feeling a little “shin splinty” because I let my orthodics wear out and I haven’t bought new running shoes since last fall….I also have a half marathon coming up on Sunday…AND I know better. Ugh. I totally love how you follow that up with “and I know better.” 😉 Get a new pair of shoes today and you’ll have a couple runs in them before your half. Good to go. Great advice. I think sooner or later every runner/athlete will sustain an injury and it’s good to know when to step back, take some rest and/or see a medical professional. I am lucky that I haven’t really been injured yet. I was told that my running form is pretty good, so I am accrediting that — and being a neutral runner – at least partially to being injury free in the last three years. The only other thing that has bothered me so far has been a groin strain, which I KNOW is because of not enough warming up and cross-training. Since I have changed that in my routine, I haven’t had any reoccuring pain. That’s GREAT! You are a lucky duck! I hope you stay injury-free for the rest of your running life. I’ve had a few minor injuries over the years. Recently, I was diagnosed with knee cap tracking disorder. PT exercises have helped tremendously as well as KT tape. I don’t run without it! Listening to your body is key. And strengthening all the muscles that support running. I have never heard of FAI. Hope everything is OK! Gah, that doesn’t sound pleasant! I’m glad the PT and tape helps. Must be a relief! Ugh, the stuff we can’t control is always so frustrating. But you’re right, giving our bodies time to adapt and building slowly can make a huge difference in preventing injury. I used to always get hurt when my miles went over 30 …then it was 40… now I’m running mid 40s and am fine. But it’s taken years to build! I definitely learned the hard way for my first marathon. But there’s really no way to know until either a) someone has already warned you (and you actually heed the warning) or b) you’re already through the training and injured. I am lucky to not have experienced anything too serious. Great read. And lots of things to watch out for. I think that getting a proper diagnosis must be key with sports injuries. Great advice! Past injuries can cause future injuries – because one thing in the biomechanical chain can throw off a whole host of other things. I sprained my foot and dislocated a bone in it while hiking…which then led to a minor hamstring strain that lingered for a few weeks and, later, a minor case of PF due to my arch collapsing. Keeping everything working well together is essential! I hope they are able to diagnose you one way or the other so that you know what to do next. I’ve been keenly focused on hip and glute strength – where my weaknesses lie. Proper recovery and listening to my body has also helped. When I have low energy coupled with aches, I opt for a non-running day and head to the gym for cross training instead. And for me, selecting one or two goal races each year instead of a ton of races has given me more time to relax and not focus on one training cycle to the next over and over. I’m all for slow and steady progress when it comes to training. I’d rather spread my training out over more weeks than fewer weeks, partly in an effort to help prevent building up mileage too quickly and risking injury. Exactly. That’s how I am, too. I think one of the most important things a runner can do is to pay attention to the small injuries and not allow them to become big injuries. Of course, that may not remove the cause of the problem, so I agree 100% with strength training..total body but with emphasis on core and glutes. Great post! I’ve been enjoying my burpees lately… even though they are really tough while doing them. But yes, core and glutes for sure!! I agree with paying attention to the small stuff and not letting it get out of control into something bigger. My last big injury was caused by tripping over an errant pair of shoes (not mine). Boo. It was pretty upsetting and annoying. Now I do my best to listen to my body, and give myself a break from running with cycling and swimming and yoga. Not infallible, but working well so far. Know what I need to do! I have FAI and a tear on the right side, and a resulting host of other problems on the left. It seems to be a common diagnosis these days, and a potentially devastating injury (and, alternatively, in some cases it also seems totally manageable). I’ve been dealing with increasing issues over two years and now have been totally shut down since November. Good luck. It is something that has put 29 years of running into sharp perspective for me and has been very, very difficult to deal with. I’m guilty of too much too soon way too often. Luckily, it hasn’t ever really resulted in anything too serious. 🙂 Earlier this year, I decided to tackle my first ultra without having a good base or long enough time to slowly ease into training. A niggle in my knee turned painful, and I quit training and gave up on running the ultra (thankfully before registering). It just wasn’t worth it to risk further / more serious injury. Now, I’m slowing trying to build a base – not necessarily for an ultra, but just for general.